In the same article, it was mentioned that the Korea Times reported the ban as a possible retaliation against South Korea’s decision to deploy the Terminal High Altitude Area Defense (THAAD) system in an agreement with the US. THAAD serves to reinforce South Korea’s national security in the case of an attack by North Korea. China and South Korea’s relationship deteriorated as a result of such political decisions. Implications of the dynamics within the political landscape sees itself surfacing through China’s ban on South Korea’s entertainment industry. The Chinese entertainment industry itself is affected as individuals working within it are worried about taking on any work that might tie them to the South Korean entertainment industry. On the other hand, it is foreseeable that the financial interest of Korean companies would be largely affected. Shifting the focus away from the almost entirely unstable state of affairs surrounding the ban, with its lack of confirmations, the relations between both states continue to manifest on the seemingly innocent performance stage of the entertainment industry. The South Korean entertainment industry itself has up till now maintained a fairly organic relationship with China. Within the realm of the music industry alone, numerous idol group members come from China, such as f(x)’s Victoria Song, Miss A’s Fei, and Super Junior- M’s Zhou Mi. Idols born in China find quick entry points for themselves and their groups into the Chinese entertainment industry. With their backgrounds, they bridge the language barrier easily and facilitate communication between K-pop artists and Chinese fans. 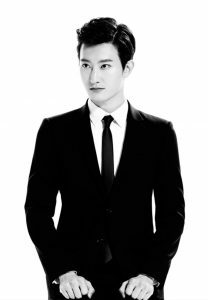 Subgroups are formed to target a Chinese audience, with Super Junior-M and Exo-M being active primarily in China and Taiwan. These subgroups release albums and songs in Mandarin, reinforcing an almost indisputable notion that the Chinese market remains a significant focus with regards to the promotion activities of these K-pop idol groups. Furthermore, Mandarin artists have gone on to produce stunning music in their collaborations with South-Korean artists. In the recent Asia Artist Awards, Mandarin singer Khalil Fong performed his song “Flavour” (味道). On the international stage, he sang in both Mandarin and Korean, taking on the original song parts sung by South Korean artists Crush and Zion.T. This song is an addition to the already present collection of Chinese-Korean collaborations, harking from Jackie Chan and Kim Hee-sun’s “Endless Love” (无尽的爱) in 2005 to the more recent collaboration between Vaness Wu and 2PM’s Junho in the Mandarin singer’s 2012 song “Unbeatable” (不败). The freedom with such collaborations presents itself most positively as progressive steps being taken for both nations, or at least between individuals from each entertainment industry. Ultimately, Khalil Fong performing his collaboration piece on an international stage does signify how Korean artists have found a way to come into conversation with Mandarin artists and perhaps found a way to speak to an international audience with a voice and through music that cannot be simply labelled under ‘Korean’. What lies beyond the binaristic model of these two nations, with their history of contention, is the ability to use music as a means through which both worlds find an equal standing on an international stage, albeit only for as long as the song lasts. However, to leave the discussion as this would be akin to giving only one side of the story and definitely overlooking the less rosy realities of the interactions between Chinese nationals working with South Korean entertainment agencies. Over the years, countless fallouts have occurred between idol members from China and their respective agencies. Former member of Super Junior, Han Geng, filed a lawsuit against SM Entertainment in 2009 under the claim that he had been mistreated during his time with the company. This was followed by EXO’s Kris, Lu Han, and Tao that have all filed lawsuits against SM Entertainment concerning their health among many other issues of unfair working conditions, contracts and such. These individuals have returned to China to pursue solo careers, and their engagement with the South Korean entertainment industry has been fractured in the process. The subsequent ban by China on South Korean entertainment then brings to mind the question if this in effect entails a disavowal of these individuals that have left China to seek their own paths in South Korea. The unwillingness to broadcast any shard of South Korean entertainment on China’s media also forbids acknowledging the successes of these Chinese idols that still associate China as their homeland. The large fan base of these Korean artists would be denied points of contact with their idols and the ban acts almost to negate the steps taken to establish a common ground, a form of cultural exchange and mutual respect between musicians of both nations. The ban that China seems keen on imposing upon the South Korean entertainment industry can in one sense be seen as an act of rejection and perhaps even a gradual dissociation of ties between the two cultures. But these remain as speculations until further news of the ban has been clarified and confirmed, or perhaps nullified. Ultimately, the current ban really reveals a fact of reality that as much as we, as an international audience, yearns to enjoy what the South Korean entertainment industry has to offer, it remains an inherently politicised arena. It is one that is fraught with tension between China and South Korea in this case, and possibly finds its own contentions with other nations that have yet to be brought into conversation.